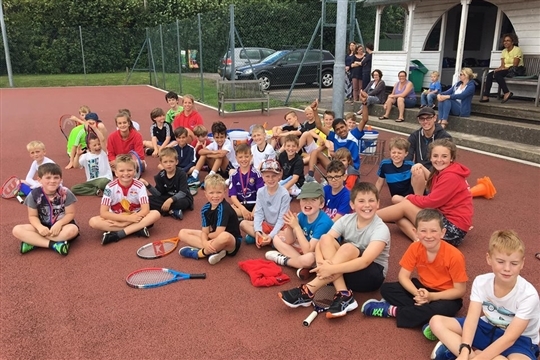 Earls Colne Tennis Club aims to provide the opportunity for tennis to be played by all ages and abilities in a social and competitive atmosphere. We are working hard to continue growing our junior programme as well as the social events provided by the club. This term I am continuing to act as the Club Head Coach whilst Dave is battling his illness but he will be around on court where possible. He is still very much working with me in respect to admin, promotion and organisation of the whole program. Quality of coaching is at the foremost of our tennis ethos at Earls Colne providing the opportunity for all children to achieve to the best of their ability and teaching children the essential skills to progress to the next groups. To allow for the parents to get more involved and on-board our coaching programme, we are providing you with a detailed overview of what you can expect each week, working on a 5 week tournament cycle with social events planned in-between for both child and parent to attend. All of our events will be available on Facebook – ‘tennislessons4u’ as well as the most up to date news and pictures! Next term, if you introduce a new member to the club who joins for the term you will receive a FREE private lesson! We are also looking for any willing parents to help with selling of drinks and food for our Saturday morning sessions, all money raised go towards our new club house.